Traditionally coffee has only been grown at scale in tropical regions. Often referred to as the “coffee belt”, the area between 23.5º North and South of the equator is typically seen as the only feasible area for coffee production with its longer growing seasons and mild to non-existent winters. Hawai’i being the only state within this tropical region held a monopoly on domestic production from the early part of the 19th century until only recently. For over 150 years Hawai’i, aided by it’s temperate weather and favorable soil, has come to develop some of the most desireable beans found anywhere in the world. 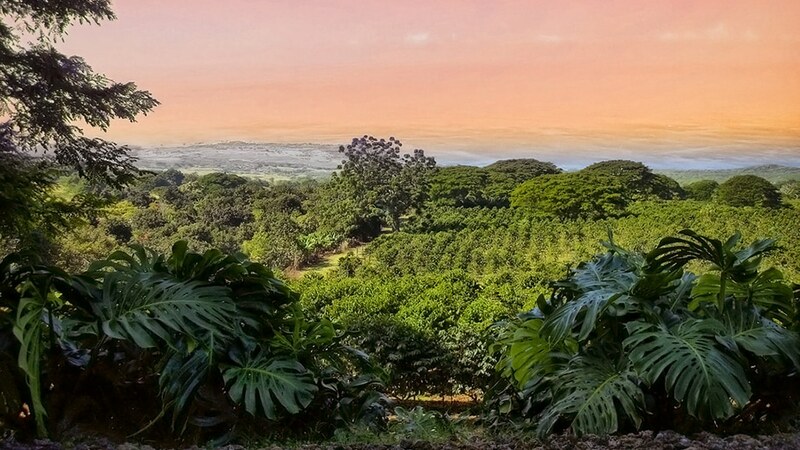 Kona Coffee is a desirable product, recognized by coffee lovers worldwide, and the success of the Hawaiian specialty coffee industry is something producers elsewhere strive to replicate. When Cafe Altura opened the doors to Organic Coffee products in California in the late 1970’s, there were no other companies trading in Organic or Certified Biodynamic beans in the country. Coffee at that point was seen as a mere commodity, to be produced and consumed on a mass scale. Over time, Cafe Altura and others at the forefront of the Organic movements began to create a demand for a higher quality and more sustainable product. But as with anything worth consuming, a good coffee culture takes time to establish. California grown coffee has been in the works since the early 2000’s with Good Land Organics coffee offshoot, Frinj. Frinj typifies the Californian approach to coffee, a small production in the foothills of the Central Coast, creating a distinct and highly desirable drinking experience. Producers further south are looking to do the same as well. Small family farms in San Diego are beginning to see the benefit to be derived from coffee growing, one of which is even owned by musician-come-farmer Jason Mraz. The key for expansion outside of traditional growing regions has been a rethinking of what constitutes suitable growing conditions and even embracing the benefits stemming from the more pronounced seasons of the California region in order to produce a specialty product. Shade grown and elevation grown coffees of the coffee belt have entered the zeitgeist in recent years because these methods, along with supporting sustainability, slow down the maturation of the plant and can produce a more smooth and gently sweet bean. California’s colder winter can have a similar effect, slowing the growth of the plant and allowing the natural sugars of the coffee berry to sweeten the bean and infuse it with more flavor over more time. 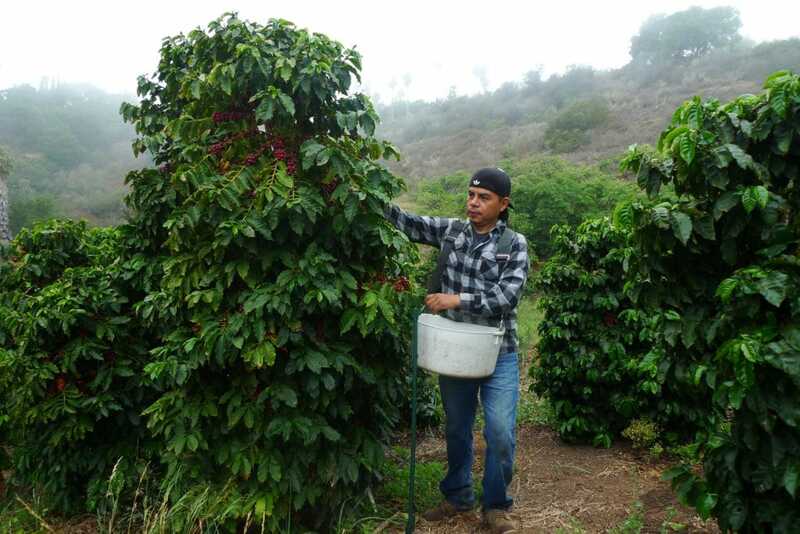 What was once seen as an obstacle to coffee production in California can instead be leveraged as an asset to produce the kinds of specialty coffees that have such a demand in the market at the moment. Now in 2018, we’re seeing mid-sized operations to family farms from San Francisco to San Diego either establishing themselves in the market, or preparing to do so in coming years. Speciality coffee is providing an opportunity to produce a sustainable and highly lucrative crop to help keep family farming viable. As these producers continue developing their beans, California could be poised to become a specialty coffee producer one day rivaling Hawai’i for preeminence in domestic production. In fact, some California-grown coffee is already selling for as much as $18 an ounce. And this price isn’t arrived at based on a wonderful flavor profile alone. It’s the locality and the provenance behind the cup that helps make it so desirable. A growing emphasis on farm-to-table dining and local produce has helped created a market for this specialty product economically viable. Increasingly, consumers want to know where their food and drink is coming from, that the rights and livelihoods of workers are being respected, that the beans are grown sustainably and, of course, that the product is delicious. All these factors give Californian coffee a unique opportunity. More than just novelty, Californian coffee can provide delicious flavors with a locally ethos and a compelling story to help support family farms and producers throughout the state as well as a coffee culture that is truly our own.